On a dark overcast day, I set off to walk just 12 km to Sahugun. There, after coffee and bocadillos I said goodbye to some friends and others saw me to the train station, where I bought a ticket to Barcelona. In Barcelona I would decide how to get to Prague.. from there I still would have 5 hour train trip to a small town. The options and complications were overwhelming for a simple pilgrim whose major decision each day had been whether to choose lentil soup or mixed salad as the first course on the never-changing pilgrim menu. It made me want to not leave home. But wait! I have already left home. I am halfway across Spain and have been sleeping with strangers in bedbug-ridden hostels for over 3 weeks, walking 400 km and conversing with the locals in Spanish. I have a credit card. I can find my way to the boonies of Moravia. The most worrisome task was to figure out how and where to decontaminate my stuff, to eliminate any chance of bedbugs coming along. Apparently many people (maybe a majority) do not react to them. I do react, which is actually a good thing because then I know about them and am not complacent. A few itchy spots had appeared on my last day. The response is an allergic reaction rather than a simple toxin, so it is very unpredictable. Itchy spots can emerge up to 10 days after the bite, so you never really know where/when you were fed upon. Most disconcerting, though, is that you also don’t know if itchy spots are new bites or just delayed reactions. Killing bedbugs is easy in theory: 20 minutes at 55C will kill them at all life phases. Alternatively, a week or so at -15C will do it. The difficulty lies in the isolation and treatment of stuff that you might want to keep. My plan had been to pack things on the return trip so that I would disrobe carefully at home (but not before entering the house), immediately put all washables into the machine, put backpack and unwashables into the freezer, leaving a few items for inspection and hand cleaning. HOWEVER. Now I am going to a small central European town where neither clothes dryers nor freezers are common. Or bedbugs for that matter. Furthermore, the reason for my visit is to focus on family, arrange a funeral, etc. No one will welcome my Spanish bedbug problem. This is something I need to work out, quietly, effectively, and BEFORE I ARRIVE AT MY DESTINATION. This was my biggest concern. What to do? Easier in Barcelona or Prague? My Spanish is way better than Czech, but I know my way around Prague better than Barcelona. Either way I had to find places to stay in both cities. Should I just abandon all my belongings and go shopping? I would still need to go through a double isolation process. How could I try on clothes without the risk of a bug leaping from my old clothes to the new ones in the dressing room? I did a first wash of sleeping bag and clothes in Spain. 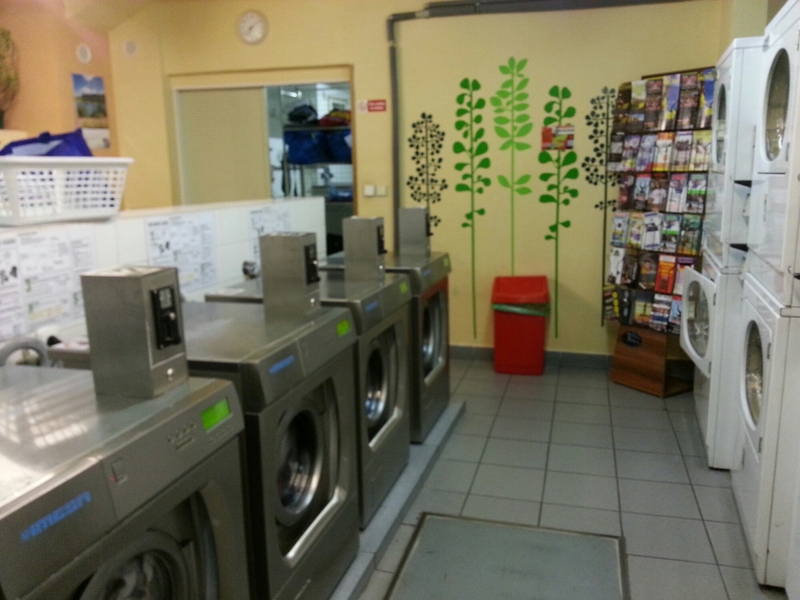 Then, on the Internet I found an essential site for itchy travellers to Prague – Andy’s Laundromat. Thus began a process wherein I separated, bagged, washed, dried, and isolated my belongings in an operation that the Ebola teams would envy. Even my backpack spent 40 minutes in a hot drier. I spent a fortune on tokens for the machines, learned the route between my hostel and the laundromat like the palm of my hand, and did virtually no sightseeing although I still managed to almost get pickpocketed (more on that later). A final stroke of luck was that I was moved from one room to another for my second night, so I was able to escape the insects that might have hopped off my boots and backpack upon arrival and taken up residence in the first room. My hiking boots got double bagged in plastic and I will probably throw them away, as I will need new ones for my next camino. I have been wearing my fake crocs ever since. I may never wear shoes again. Of course it is possible that I could have acquired new critters IN that hostel from someone else! However, this place is quite upscale and it is far less likely than bringing them from the Camino! I still plan to do a less rigorous repeat process again when I get to my destination. Did I mention that I am not complacent about this? Life gets complicated once you decide to leave your house! 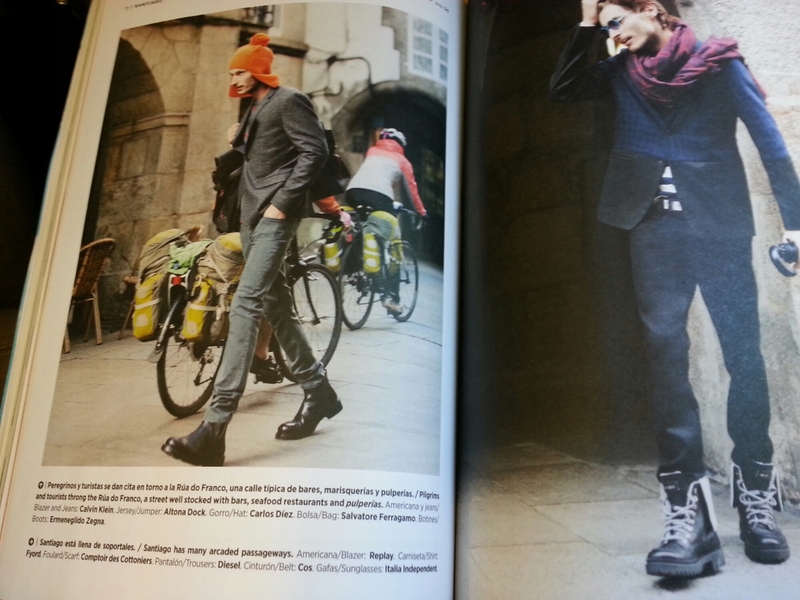 To change the topic, on my flight from Spain, the airline magazine had a couple of pages about Santiago and the latest fashions for pilgrims. Guess we’ll be seeing this soon in the albergues. I understand your worries Clare. Sounds like you de-contaminated well. Regardless of where I stay when I travel, I go through a very careful return process that begins in the garage. All clothes go into the washer and suitcase are ruthlessly inspected. I never want to bring those critters inside my home! Your family will be glad/relieved to see you! Yes I think I was thorough. I’ve been thinking about all the recommendations to avoid/deter them in the first place. There are so many flaws in all methods that I think the best thing is to accept the fact that I will encounter bedbugs, and create the simplest routine for decontamination! Like you, I am thinking differently about all trips now.